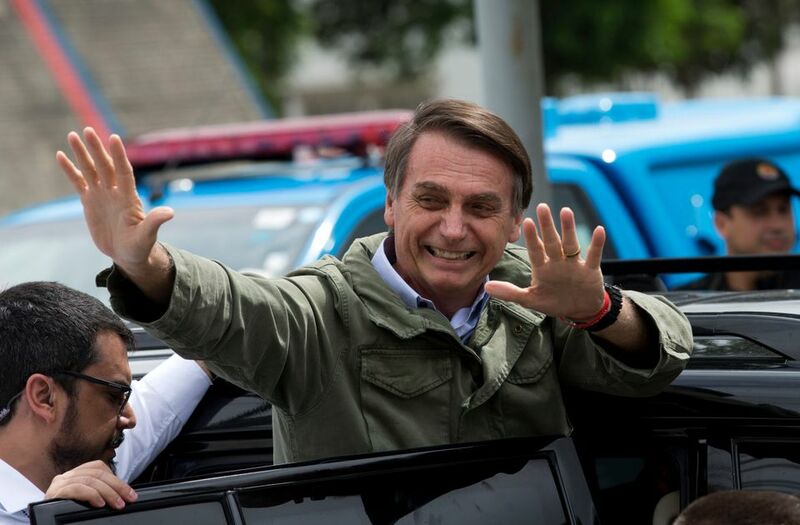 When the results were announced on Sunday night, thousands of Bolsonaro’s supporters celebrated in the public square in front of the Museu de Arte de São Paulo (Masp), and clashed with his opponents, who chanted “Not him” and called Bolsonaro—who has spoken nostalgically of Brazil’s decades-long military dictatorship—a “fascist”. Demonstrators returned to the São Paulo museum square this week, and protests broke out in other cities including Rio de Janeiro, Porto Alegre and Recife, with left-wing activists vowing to resist the new president, who takes up the post on 1 January. Arts professionals are feeling wary, although few would speak about their concerns on the record, perhaps because of Bolsonaro’s apparent sympathies with authoritarianism, or the fact that government funding supports a significant part of Brazil’s cultural production. “It’s impossible to know what will happen—the only certainty is that it won’t be the same as before,” says Bernardo Mosquiera, the curator of the experimental arts lab Solar dos Abacaxis (Pineapple House) in Rio de Janeiro. “But most people are apprehensive and attentive, and at the same time terrified and aggressive.” Ahead of the election, Solar dos Abacaxis opened a group show and performance addressing democracy and corruption in Brazil, called Manjar: We Are Muitxs, after a leftist movement that aims to influence government policy in urban centers. "Bolsonaro's intolerant and non-inclusive discourse stimulates and validates a violent, exclusionary view that does not allow room for dialogue with anything that is different, with the other; that does not consider living with anything they disagree with," says Fernanda Lopes, a curatorial assistant at Museu de Arte Moderna, Rio de Janeiro. She adds that she worries that censorship and conservative attacks against exhibitions, such as a recent queer art show, will only get worse. "Besides cutting costs to achieve their aggressive revenue goals, the way I see it, this new government will use the dismantling of investments on education and culture as an attack, a way of silencing and starving everyone who publicly diverges from it," says Germano Dushá, an independent curator and co-founder of Fora, a multidisciplinary platform for public arts in São Paulo. "It is not an unknown fact that the great majority of educators, scientists, artists and intellectuals are strongly opposed to Bolsonaro's policies and everything that he represents. From someone who has said in a live video that will swipe all those who oppose him, we can’t expect a clear and powerful agenda for cultural production, that's for sure. Most likely, it will be an austere and tense nightmare." “We have seen how the cultural infrastructure of Venezuela was decimated by a similar authoritarian, populist and militaristic president,” says Gabriel Perez-Barreiro, the chief curator of the New York- and Caracas-based Colección Patricia Phelps de Cisneros and the curator of the 33rd São Paulo Bienal. Venezuela’s former president Hugo Chávez often railed against the elitism of the arts and ousted the leaders of most of the country’s state-run institutions in a televised purge, leading many artists, curators and private collectors to leave the country. “In particular, Bolsonaro’s expressed views on women, gender orientation, sexual preference and race are very worrying, as is his apparently disregard for freedom of expression,” Perez-Barreiro adds. Sérgio Sá Leitão, the current culture minister, has publicly supported Bolsonaro, although on Wednesday he issued a statement suggesting that it would make more sense to combine the culture department with those for sports and tourism, rather than folding it into the education ministry, as Brazil’s interim president recently tried to do. In a pre-election twist, an unlikely feud emerged between Sá Leitão and the former Pink Floyd band member Roger Waters, who criticised Bolsonaro and other hardline political leaders around the world during a series of concerts in Brazil. Sá Leitão accused Waters of illegal electoral campaigning during his performances, for which he received 90m reais ($24m). In an interview with the Brazilian newspaper Folha, Waters called Bolsonaro corrupt and insane, and said that Sá Leitão is in the “wrong profession” and should resign. “For a long time, Sá Leitão has not been a representative of the artistic class but someone we have to deal with,” Mosquiera says, adding that he did not expect the culture minister to be remain as part of Bolsonaro's government. But the immediate and vocal resistance against Bolsonaro's policies gives some a glimmer of hope. "The museological, curatorial, and arts community is stepping into the biggest challenge of this generation," Dushá says. "Everyone is tired, worried and many are melancholic. But also, there is an energy building towards resistance, and many new ideas, bonds and communions are emerging. It will be a matter of keeping the spirit alive and thinking strategically." "Institutions need to stay on the side of culture, artists, defending artistic and intellectual production," Lopes says. "We have an important fight ahead."